Reeds are both a blessing and a curse. Have you ever purchased a new box of reeds and gone through the entire box not liking the sound of any of them? This has been a regular occurrence in the last year or so of my playing. I have finally achieved a tone quality I am proud of and sometimes my reeds get in the way of creating that sound.If you’ve ever been in the same situation I have found myself in, there are two options for you. The first being making your own reeds. Now this can be very expensive to buy all the tools to take the process easier, but cheaper in the long run because reeds will no longer be $3 a piece, but more like 80 cents a piece!!!! Making reeds can be a lengthy topic and I have already started on a how to make your own reeds post, but right now I’d like you to consider option number two: The Plastic Reed. 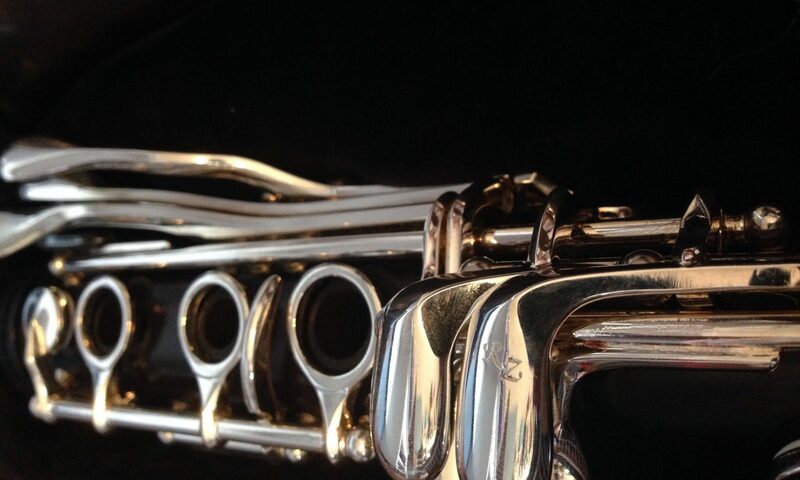 Now most people have some concerns when it comes to plastic reeds because of some myths floating around the clarinet world about them so let’s get those out-of-the-way first. Fact. Plastic Reeds are more expensive than cane reeds. I got my Légère Classic reed for $17 dollars and can play on it for about 6 months. Where I paid $28 for a box of Vandorean V12 cane reeds that lasted about the same amount of time.They last longer than cane reeds because the plastic is much harder to crack than the cane is. Myth. Plastic reeds like most things have an expiration date. Of course like a cane reed precautions can be made to elongate the life of the reed. If you rotate 3 plastic reeds, you can get them all to last about a year. The tip of the plastic reed does weaken and wrinkle after excessive playing so be sure to take care of your reeds and break them in properly. Myth. They are made of plastic: they aren’t invincible. Over the last two years I have only had one plastic reed chip the way cane reeds do but in the reeds defense it got hit really hard by an ecstatic flute player at a football game. Fact. I normally play on a Vandorean V12 reed with a 3.5 strength and when I purchased my first Légère Classic reed with a 3.5 strength I notices immediately that the reed was weaker than my cane reeds. So I moved up to the 3.75 and felt much more comfortable playing. Myth. I am very proud of my tone on both my cane reeds and my plastic reeds and I don’t know anyone that can listen to me and tell me which reed I’m playing on. There are many occasions to use a plastic reed like marching band, teaching private lessons, and practice, but I would not play a plastic reed at an audition or a concert. Plastic reeds are less resistant and allow you to produce a much louder and clearer sound that can be heard off the field better. Plastic reeds also don’t adjust to temperature or humidity changes, therefore they are perfect for playing outdoors. While teaching private lessons you can easily go 15 minutes without playing your clarinet. but in 15 mins, your reed will have completely dried out and have a wrinkled tip from drying on your mouth piece. With a plastic reed, you don’t have to wet it. You can pick up your instrument and start playing right away. Therefore you don’t waste anytime in your lessons wetting your own reed and the lesson can be more focused on your students playing. While I love playing on plastic reeds, I have not and do not recommend making a complete switch to plastic reeds. Cane is the traditional reed material and will be used as long as the clarinet is. While cane may be unpredictable and annoying at times, it works and it works well. If you have any questions about plastic reeds or my set up please leave a comment!! I am very late to getting this posted, but got very caught up with the end of the school year. But it is summer now so I will try my hardest to get caught up again. This last year I had the opportunity to interview clarinetist Eric Salazar. Eric is a clarinet soloist, chamber musician in the ensemble, Forward Motion, and a composer. He is a member of the International Clarinet Association and a BuzzReed committee member. Eric has been featured on the Clarineat podcast were he discussed his use of social media in expanding his career and how he became the second most followed clarinetist on social media. Eric released his own album in 2016. This live recorded album features recordings of Salazar’s original compositions combining traditional musicians with electronic tracks and can be heard on iTunes, Spotify, Sound Cloud. This new form of music is often categorized under the indie-classical genre. Eric Salazar often introduces improvisation into his own works as improvise is the first step towards composing. Eric performs with his chamber ensemble, Forward Motion. Forward motion is a relatively new ensemble based in Indianapolis. Keeping up with the indie-classical genre, Forward Motion brings this new art form to the public of Indianapolis. Eric Salazar is a committee member and the graphic artist for the International Clarinet Associations new venture, BuzzReed. BuzzReed was established to bring information about “pedagogy, equipment, culture, literature, and history” to a younger audience. BuzzReed can be found on the International Clarinet Website and in The Clarinet Journal. Eric Salazar runs a private studio and is an arts administrator. But he didn’t start out that way. Salazar said that at the beginning he “Knew how to play, but didn’t really know how to have a career in music.” I believe that the best way to pursue a career in music is to be in a constant search for performance opportunities and find what makes your playing unique. Eric Salazar did just that. His combination of instrumental and electronic music made him unique. I would love to learn more from Eric Salazar about careers in music. If you have any questions you would like to ask him please leave a comment or shoot me an email so that we can feature him again.